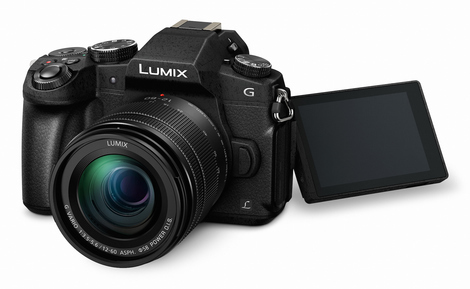 The Panasonic Lumix G85 is another fantastic Hybrid camera that offers full manual control and excellent quality in both still image and video capture. Their 4K burst and 6.1fps continuous AF burst shooting will blow you away along with the camera's image quality and 4K video capabilities. Read more in our Full Conclusion. The Panasonic LUMIX DMC-G85 was announced at Photokina 2016, and is Panasonic's latest Micro Four Thirds ILC camera system. At the heart, we have a 16MP Digital Live MOS sensor without a low pass filter for clearer, more professional images. The speedy Venus Engine and 5-axis Dual Image Stabilization work together to capture up to 9 fps in continuous shooting, numerous Photo Styles, and four separate Bracket modes. The G85 also boasts powerful 4K video capture (at 30p) with 4K Live Cropping, Full HD video capture, a 4K PHOTO mode with Live Composition. In-camera RAW development helps take advantage of the xtra latitude and PPI, while Silent Mode allows you to take pictures without disrupting your subjects. Power Saving Mode is a great option for those who need to extend battery life (up to 800 shots). And Wi-Fi, when used in conjunction with an Android or iOS device running the Panasonic Image app, will help you share your images and videos online, transfer files to your smart device, or remotely control the camera. The Panasonic LUMIX DMC-G85 can be had for $999.99 with a 12-60mm lens OR for $899.99 as a body-only kit. See our best price box at the top right of this page to see current online pricing.